Apology time: Marine Corps Times has not been as precise in its naming conventions as it could have been. Note to editors: Changing the unit name to “3rd Battalion, 8th Marines” is factually incorrect. When 3/8 attached to 26th Marine Expeditionary Unit in April of 2010, it became a battalion landing team under 26th MEU CO Col. Mark Desens. When the unit detaches from 26th MEU at the end of its current deployment, it will return to 8th Marines and that unit’s commander. The name of the unit in its current state is “Battalion Landing Team 3/8”. Scan through recent Battle Rattle blog posts, and you’ll see that I’ve typically identified the unit as Battalion Landing Team 3/8 in the first reference, then shortened it to 3/8 afterward. I’ve also used 3/8 in blog headlines, rather than BLT 3/8. I used the unit’s full “Battalion Landing Team” name realizing that there is a difference — typically, a BLT is beefed up with mechanized elements — but shouldn’t have shortened it beyond that. 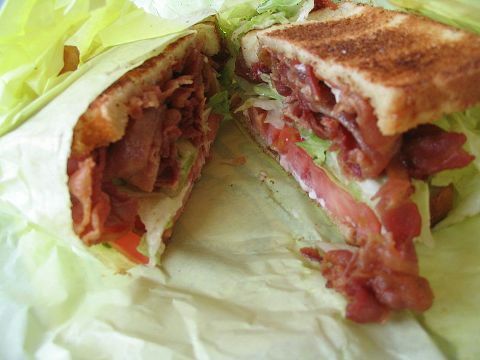 So, there you go: It’s BLT 3/8. Expect to see that going forward. MARINE BLT what could be better!! !